Left to Right: Assistant Commisisoners Leslie James, Nigel Hoppie, Clifton Hicken, David Ramnarine, Paul Williams and Maxine Graham. 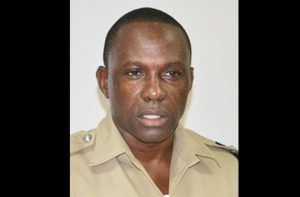 After acting as Commissioner of the Guyana Police Force (GPF) for almost one year, Assistant Commissioner of Police David Ramnarine appeared to have been given the boot and would not even be considered for promotion as one of the Deputy Commissioners. 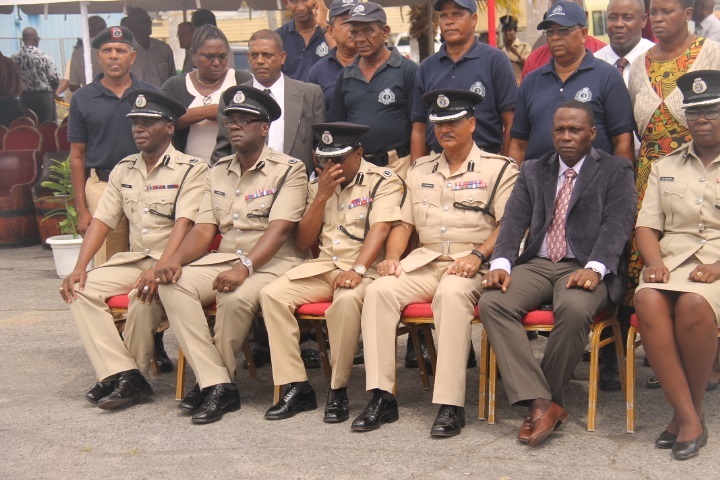 A high-level source confirmed to Demerara Waves Online News that Ramnarine is not among the lot tipped to be appointed substantive Police Commissioner or one of the Deputy Commissioners. Ramnarine has been acting as Police Commissioner for the most part during the past year when government had sent then Police Commissioner, Seelall Persaud on special leave. Ramnarine has already applied to Minister of Public Security, Khemraj Ramjattan for his 42 days annual vacation leave that he should have proceeded on since earlier this month. It is unclear whether Ramnarine,49, would remain on the job until he turns 50 next year June at which time he would be eligible for early retirement in accordance with public service rules. 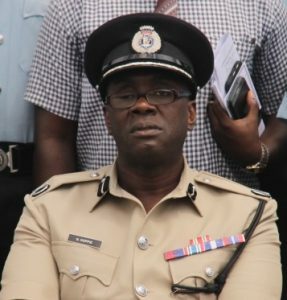 Assistant Commissioner, Clifton Hicken was also not featured among the likely new elevated line-up of the police force top brass. Assistant Police Commissioner, Nigel Hoppie. Maxine Graham are tipped to be promoted, with one of them to the post of Police Commissioner and the others Deputies. This would be the first time in decades that the force would be having Deputy Police Commissioners. At the same time, the source indicated that it was up to the President to pick from among them who would be appointed Police Commissioner. Sources said Hoppie, who currently heads the Finance Department, could emerge as the preferred candidate as he is academically sound, ,methodical and humble. President David Granger is expected to meet with Opposition Leader, Bharrat Jagdeo this week to hold constitutionally mandated consultations before making the appointments. The first sign that the Guyana government was positioning Williams for a senior management position in the force was when Senior Superintendent, Wendell Blanhum was removed in December 2017 as Crime Chief. He was replaced by Williams who headed the Training Division for a number of years. 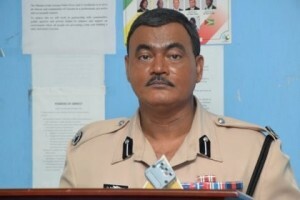 In Ramnarine’s absence, Williams has acted as Police Commissioner. Williams and James were this year awarded the Disciplined Services Medal (DSM). Meanwhile, former Minister of Home Affairs (Public Security), Clement Rohee Tuesday night accused the People’s National Congress Reform (PNCR)-dominated coalition-led administration of stripping Guyana Defence Force (GDF) Chief-of-Staff, Brigadier Patrick West and Ramnarine of their authorities and taking full command of operational and administrative arms of those coercive arms of the state. Rohee warned that the government was about to make the army and police force satellites of the PNC as had been the case in the 1970s and 1980s. Rohee observed that the newly elected Central Executive of the PNC now has several top former army officers and former Police Commissioner, Winston Felix. The army officers are Retired Rear Admiral, Gary Best and Retired Brigadier, Eddie Collins.